Migraine with aura and epilepsy have been found to share a genetic link. The findings, published in Epilepsia, found that a strong family history of seizures was associated with higher incidences of migraines with aura. There is much evidence that supports a coexistence of migraine and epilepsy, and previous findings revealed that epilepsy patients are at a higher risk of suffering from migraines, but a shared genetic cause was never established previously. The researchers analyzed data from participants of the Epilepsy Phenome/Genome Project (EPGP), consisting of 27 clinics across the U.S., Canada, Argentina, Australia, and New Zealand. The study focused on sibling and parent-child pairs with focal epilepsy or generalized epilepsy with an unknown cause. Many patients with epilepsy do not have a family history of the condition, but the researchers aimed to focus on the rare cases where epilepsy appears to run in the family. They analyzed 730 participants with epilepsy and 501 families with a prevalence of migraines with aura. They found that migraines with aura were substantially higher in families with epilepsy and seizure disorders. Patients with epilepsy were found to have three or more relatives with seizure disorders and were twice as likely to have sufferers of migraines with aura in the family. Essentially, the more relatives there were with seizure disorders or epilepsy, the more members experienced migraine with aura. 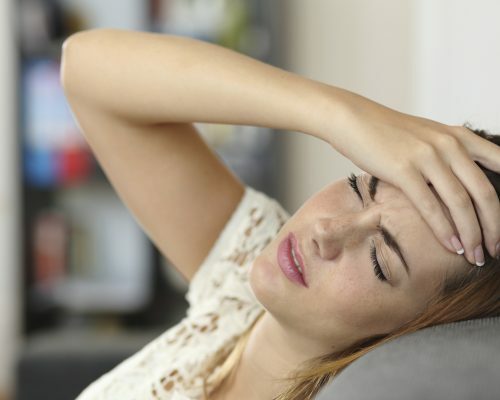 Migraines are generally divided into two groups: less than 15 headache days a month and over 15 headache days a month. Comorbidities differ between each group, with migraines of over 15 headache days a month negatively impacting quality of life and leading to other health complications. It has been found that epilepsy patients have a twice as high risk of experiencing migraines, and children with epilepsy are three to four times more likely to be at a greater risk for migraines. Research suggests that epilepsy combined with migraine with aura can lead to worsened outcomes for patients. Epilepsy patients with migraines are less likely to have a remission from epilepsy, compared to epilepsy patients without migraines. Furthermore, epilepsy patients with migraine have higher rates of depression and suicide as well. Due to their overlap, both epilepsy and migraines do respond well to some of the same treatments, which makes handling both conditions a bit easier. Speaking with your doctor can narrow down the best form of treatment for both conditions in order to reduce complications.